Whether you want a short trip or long trip we have a rafting and kayaking adventure for you; try our all day adventure with lunch, or plan a different adventure each day for the week we have a special adventure including caving for your unique travel experiences; best prices guaranteed on Watauga River don't be taken by a lot of hype this is the outfitter for your family. We are close to camping near Boone NC, and Roan Mountain TN. We pride our self in our southern customer service and a growing community of return and new users, Watauga Kayak's customers are like family. we paddle in Elizabethton, East Tennessee, Bristol, Gate City, Virginia, and Boone, Banner Elk North Carolina. We are located near the Bristol Raceway just minutes to the river and back to the race. Our customers are very important to us and we want to provide the best experience possible. Our trip options give our customers the ability to choose what is best for them and their family. We love to show our beautiful little town of Elizabethton to visitors. So many historical things to see starting with the Elizabethton Covered Bridge one of the oldest in the State of Tennessee, Sycamore Shoals State Park during the summer months experience the outdoor drama Liberty, or view fort Watauga where you can see where the over mountain men made their river crossing. Also we are forturant to have the Tweestie Bike Trail. 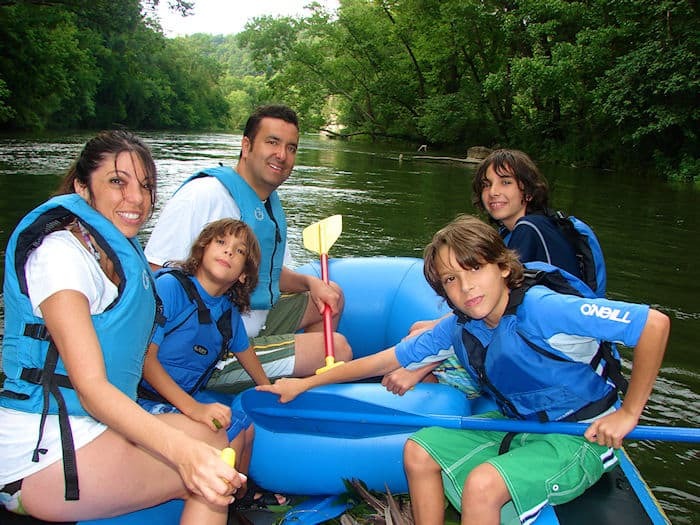 Tennessee White Water Rafting trips, and North Carolina Rafting Trips are fun for the entire family, both young and young at heart. Watauga Kayak offers guided white water rafting trips as well as whitewater rafting In NC on the Watauga River designed for the first-timer and the thrill seeker. Select your trip based on the level of excitement you want and the length of time you wish to spend on the river. To book a trip at the last minute you will need to call our shop 423 542 6777 since our booking software will only book 24 hours in advance. No problem, just call if we have availability you are rafting in minutes. We have the best policy of all the Outfitters, as long as you cancel 24 hours before your trip you will receive a full refund. Yes FULL REFUND!. For Large Group refunds you must cancel seven days before your trip date to receive a full refund. We don't like to paddle in the rain or storm, so if it is raining here we will make the call to cancel or not. Watauga Kayak will always put your safety first. Watauga Kayak will determine if the trip is cancelled or not if you don't show up you will be charged for the trip if the trip is not cancelled. We paddle mostly the Watauga River, others on occasion we paddle Holston River, Doe River TN, New River in North Carolina, Boone, Banner Elk, and Clinch River in Virginia. The Watauga River is the closest river to Boone, Banner Elk, Blowing Rock NC, Johnson City, ,Mountain City, Kingsport TN, and Bristol Raceway, Bristol VA.
Classic Raft Trip is the most popular trip on Watauga River it starts the same place all the other out of state outfitters start, and it goes past all the take outs of the other outfitters ending at our shop. Great for all ages. If you wish to be on the water longer then the Explorer Rafting Trip or the ALL Day Rafting is great for you. Just in case you have experienced the Classic Rafting and want more excitement try our Explorer, or Expedition Rafting trips faster water, more rapids. If you only have a short time to raft let us know we can arrange a special trip for you. We offer several different Guided Kayak Trips. River or Lake we have a trip for you and your family. 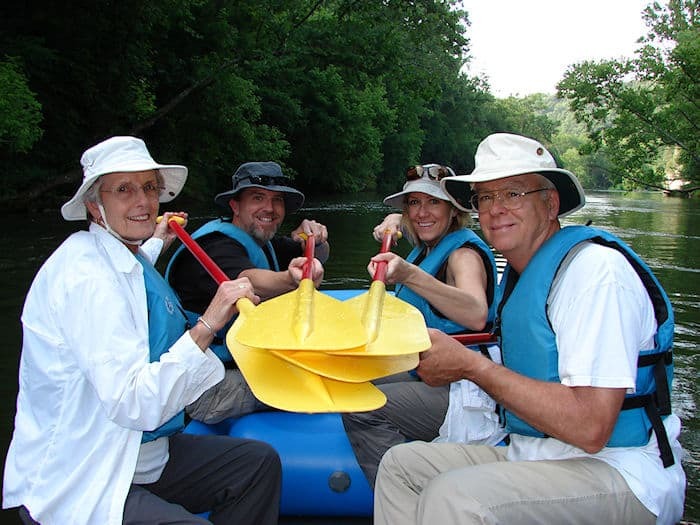 Most people paddling start on the lake and gradually think about paddling the river at sometime. The River Challenge I is the best instruction to river paddling you will find; we hold your hand if needed, its easy paddling some small rapids, some flat water, and lots of beautiful scenery chance of flipping is slim. Lake paddling, slim chance of flipping, we have two lakes we paddle. One is very lite paddling and many wonderful things to see, the other is more advanced paddling if you wish to paddle longer distances. Because many of our trips are booked well in advance we recommend that you call early to reserve your space. However, if it's possible, we will be happy to fit you in on short notice. When making reservations, please have your credit card ready when you call us. We accept MasterCard, and Visa. Prepayment or a 50% deposit is required to guarantee your reservation. For a full refund of deposit, you must cancel 24 hours prior to the trip date. Groups of 12 or more must cancel 7 days prior to the trip date to receive a full refund. Trips booked less than 48 hours in advance require full payment with a credit card. Arrive 30 minutes in advance; late arrivals will be deferred to next trip time. NO REFUND GIVEN FOR CANCELLATIONS THE DAY OF YOUR TRIP, OR NO SHOWS. Rain or shine is not our policy. We are very cautious when it comes to weather, we may hold back the trip for 30+/- minutes to insure the weather is adequate for rafting. We raft when we thing it's not going to storm. A light sprinkle is not a problem, but we prefer no rain. Watauga Kayak DETERMINES IF A TRIP IS TO BE cancelled due to weather. If we cancel you will receive a full refund. Prices are per person and include all equipment you'll need to raft, cave, or kayak. Tax, No hidden fees. Safety is our main concern. THIS IS A VERY SAFT RAFTING TRIP; WATAUGA RIVER IS A CLASS I & II WHITEWATER RIVER - FAMILY STYLE. We train our guides extensively on the Watauga River. However, it is important that you and your group know that whitewater rafting, like all adventure activities, involves inherent risks. 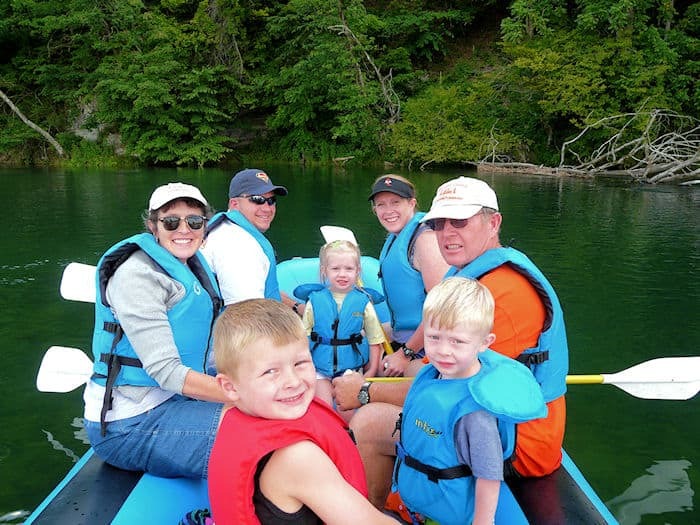 Watauga Kayak does not assume liability for personal injuries or death. You will be asked to participate in our safety instructions and to read and sign an Assumption of Risk and Waiver Agreement prior to your trip.